Unique and innovative Velcro design. 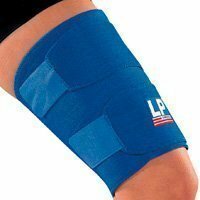 Helps reduce the pain from tendonitis. Retains body heat to warm knee joint. Unique one size fits all sizing system.